Sriracha Tiger Zoo is a tiger zoo located in Sri Racha, Chonburi province in Thailand. 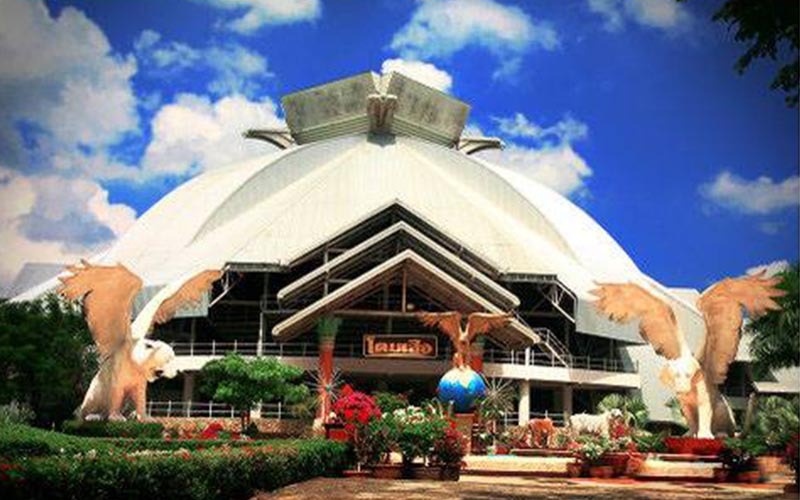 It is known as the largest Tiger zoo in Asia and it covers over 100 hectares of land. The Sriracha Tiger Zoo was open in the year 1997 in the month of April. This tiger sanctuary island in Thailand serves as a home for over 300 Panthera Tigris and close to 100,000 crocodile. 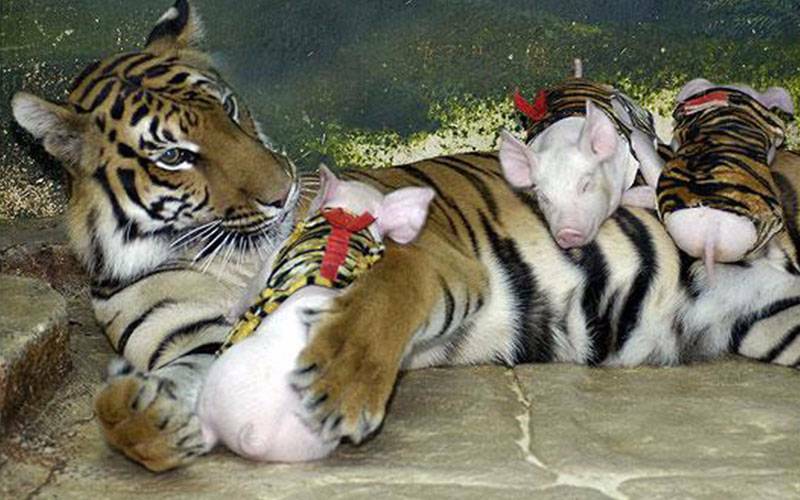 At Sriracha Tiger Zoo, visitors have a chance to see tigers, dogs and pigs living together and relating in the same habitat, a phenomenon that is not feasible in the wild. Here, visitors can take tiger tours around the zoo and watch piglets and cubs feeding together, you can also enjoy pig racing shows, tiger shows, elephant shows and crocodile shows which features crocodiles African dance. You can get to feed single hump camels, ostriches, kangaroos and a wide range of exotic birds. 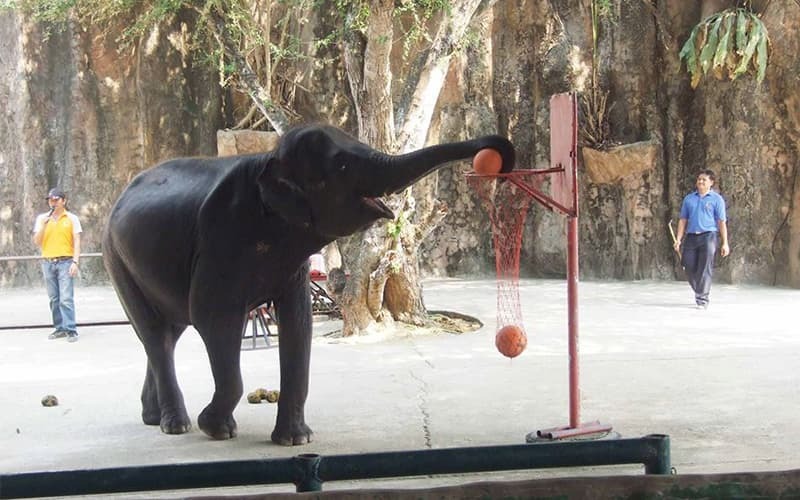 You can also watch tigers hunting, taming of crocodiles, and also watch elephants playing basketball. 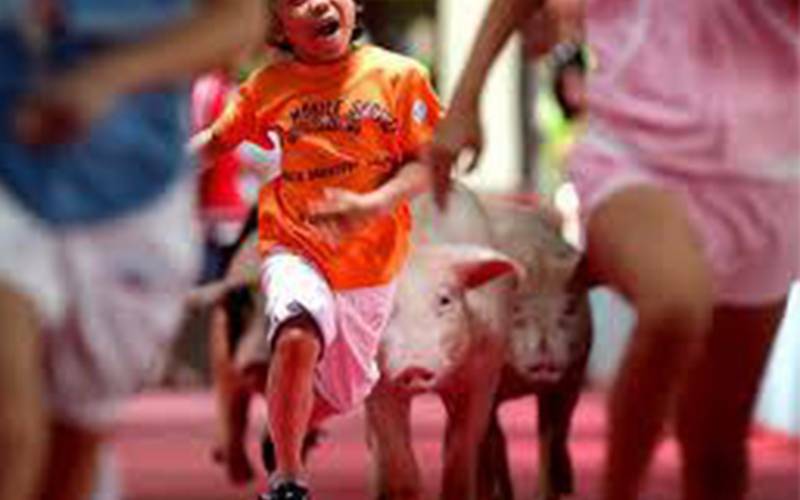 The pig racing show runs in the morning at every hour and in the Afternoon from 9 am to 5 pm. 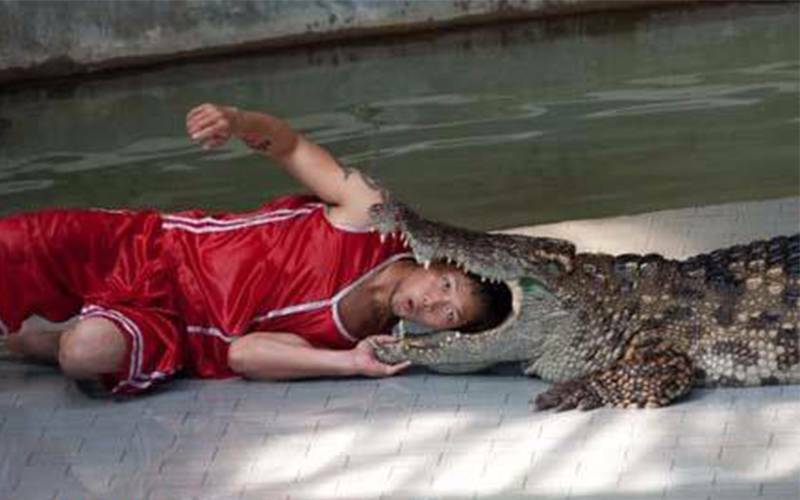 The crocodile show is available every morning from 9:30 am to 10:30 am and in the afternoon by 1:00 pm and 5:00 pm. Also available is the Elephant show that runs every morning from 11:40 am to 12:00 am and in the afternoon by 2:30 pm and 4:30 pm. Finally, there is the tiger show that runs in the morning by 11 am and in the Afternoon by 1:30 pm and 3:30 pm. 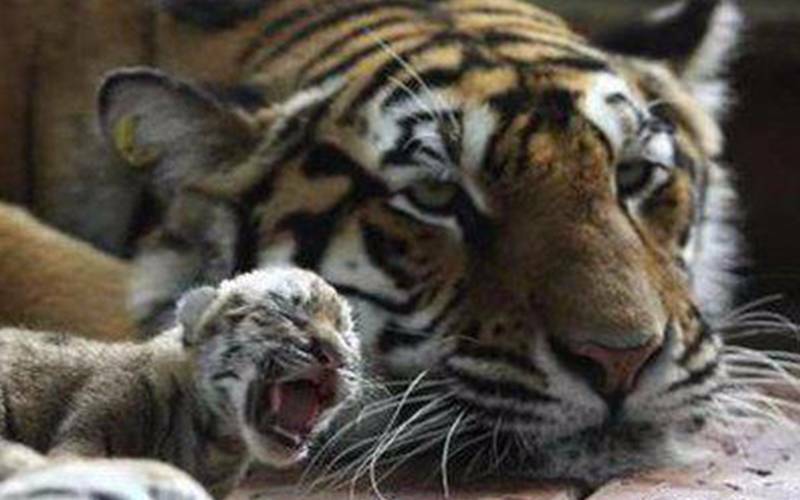 The price also varies according to the age and size of the baby tigers. 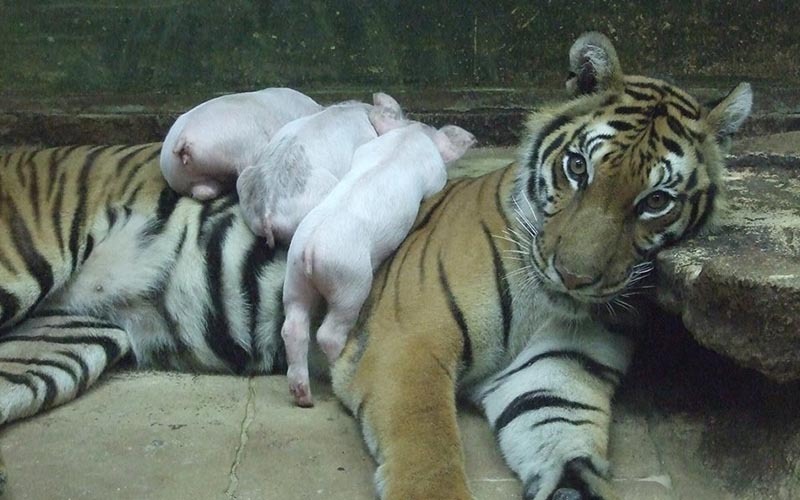 For newborn tigers that are one month old, the price is 1500 THB. For 2-5 months old infants- 1000 THB, For 6-12 months old teenagers- 800 THB, 13-18 months old young tigers- 800 THB, 19-36 months old Big Tigers- 1000 THB. Here at Sriracha Tiger Zoo, visitors can get to hold baby tigers and take pictures with them. You can also enter the cages or even sit and stand close to a tiger. Families can enjoy having lunch or picnic around the tigers. The program is set in a way that you can comfortably sit in the midst of the tigers and have fun holding and playing with them. Visitors are assured of complete safety as the animals are tamed and have been trained to be friendly and harmless all their lives. They do not bite and do not regard people as food. In the evenings, trainers provide them with coconut or leaves to keep them happy and relaxed. Trainers are also available to provide support and position the tigers in a way that makes visitors that wish to enter their cages and take pictures most comfortable and safe. The Sriracha Tiger Zoo is open from 8:00 till 18:00. Visitors are not allowed to feed the animals. This means that visitors cannot bring food from outside to feed the animals. For those interested in feeding them, they can purchase animal feed from the manager. Feeding is however, done under strict supervision. This is to protect the animals from being fed with a meal that is not healthy for them. Child fare ranges and applies for children between 100cm to 140cm. 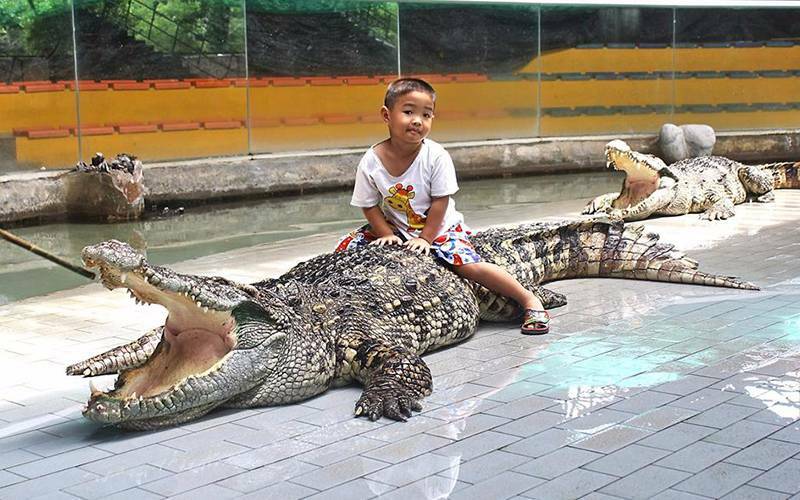 For children shorter than 100cm, admission into the park is free. Visitors are required to include their names when purchasing tickets. Their belongings are also searched to prevent them from bringing in animal feed from outside. Vouchers can be redeemed at Sriracha Tiger Zoo ticket booth. The Sriracha Tiger Zoo aims to protect the lives of wild animals that are in danger of being extinct. It also promotes harmony and friendliness among wild and home animals, while encouraging quality time among families and loved ones. 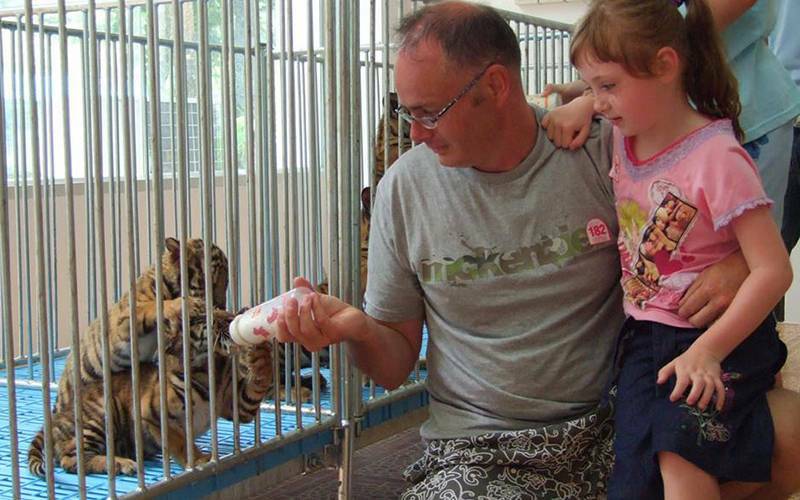 The Sriracha Tiger Zoo Thailand is definitely a place to visit.